How to Fix or Restore the Volume Control Appearing in the Center Screen in Windows 7, 8 or 8.1? Did your Windows Volume control just suddenly appear right in the middle of your screen? It’s annoying right? It’s supposed to appear on the lower right corner of your screen, right beside the date and time. Later I found out that this is no virus, or a program error or Windows error. Clue – this happened to me when I installed the Radeon R9 270X together with its Catalyst driver. Have an idea already on how to fix it already? If still you’re blank, please continue reading below and I’ll show you easy steps on how to fix or restore the volume control appearing in the center of your screen. 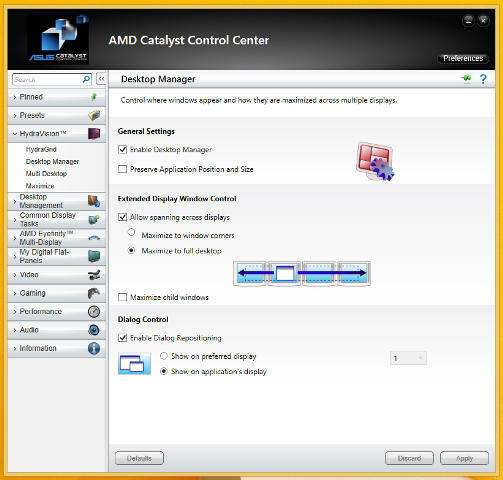 The problem and solution my friend lies in the AMD Catalyst Control Center. To fix this problem, simply open the AMD Catalyst Control Center, you should be able to locate this from your Start Menu then AMD Catalyst Control Center. Or do a quick search for it. After you have launched the control center, you should be seeing a similar Window below. On the left side panel menu, head over to “HydroVision” and click “Desktop Managed“. From there you will see a “Dialog Control” options. If you noticed, the “Enable Dialog Repositioning” is checked by default. Uncheck this and apple the changes. 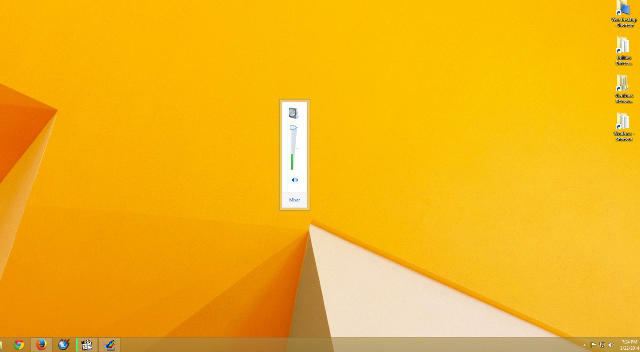 After that, your Windows Volume control should now be back to where it should be, just like in the image below. Asus B85-PRO GAMER Motherboard Unleashed – Features SupremeFX, GameFirst II and More!